Ever wanted a greater range of possibilities with Jelastic to match your growing demands? Ever wished that the web services, that are run on the Windows operating system, could be easily hosted inside the cloud? That they could be maintained with the already familiar and outstanding Jelastic features like auto scalability and fair pricing? Now you’ve got it! In the latest 3.1 release another important milestone was achieved by Jelastic on the road to entirely multilingual hosting – we enthusiastically present you with the implementation of Windows-based containers (beta stage) at our PaaS. 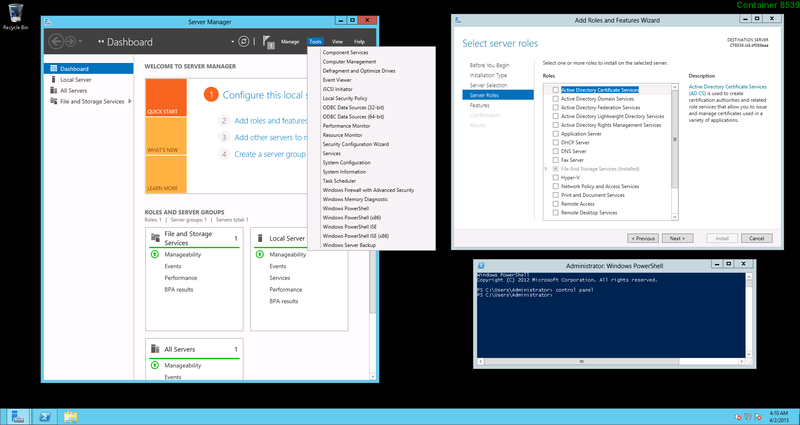 Windows VPS server with the pure Windows Server OS installed. Note: The availability of the .NET programming language tab at your topology wizard depends on your hosting provider’s settings. All the Windows-based nodes are delivered with the embedded Remote Desktop Protocol support, which allows you to connect to a virtual desktop of your Windows machine and perform any required server configurations through it, using the appropriate set of in-built, default tools. To make server management even more comfortable, Jelastic has integrated the one-click mechanism for the RDP connection establishment directly from your dashboard. This allows you to work with the required remote desktop right in your browser via the Guacamole HTML5 client. For this purpose, select the Open in browser point inside the expandable Remote desktop menu next to the preferable Windows-based node (shown in the image above). Beside this default connection scenario, Jelastic also lets to use any preferable local RDP client, putting zero limitations on you. And now let us present a short summary on each of the provided Windows instances and the possibilities they enable. Jelastic provides version 8.0 of the Internet Information Services (IIS) web server with the embedded 4.5 ASP.NET support, which is fully backwards compatible with the legacy versions. As with any other application server, its main purpose is to serve different kinds of projects, like web-sites, applications, services etc, written in .NET. 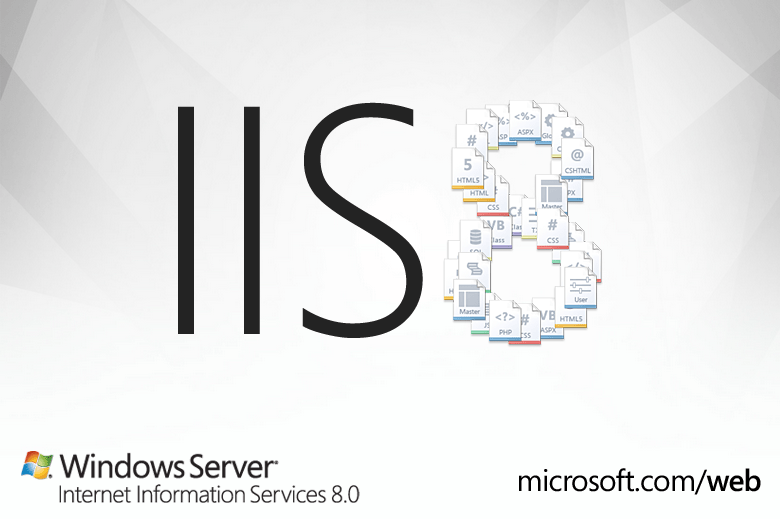 In order to learn how to get your own IIS 8 instance at Jelastic, read the corresponding guide within our documentation. Apart from the standard functions, this server is tightly connected with the highly popular Microsoft-designed integrated development environment – Microsoft Visual Studio. This considerably simplifies .NET apps’ deployment process, allowing both quick project publishing from the abovementioned IDE, directly to the Jelastic Platform by means of the WebDeploy tool and the traditional manual package deployment through the dashboard. 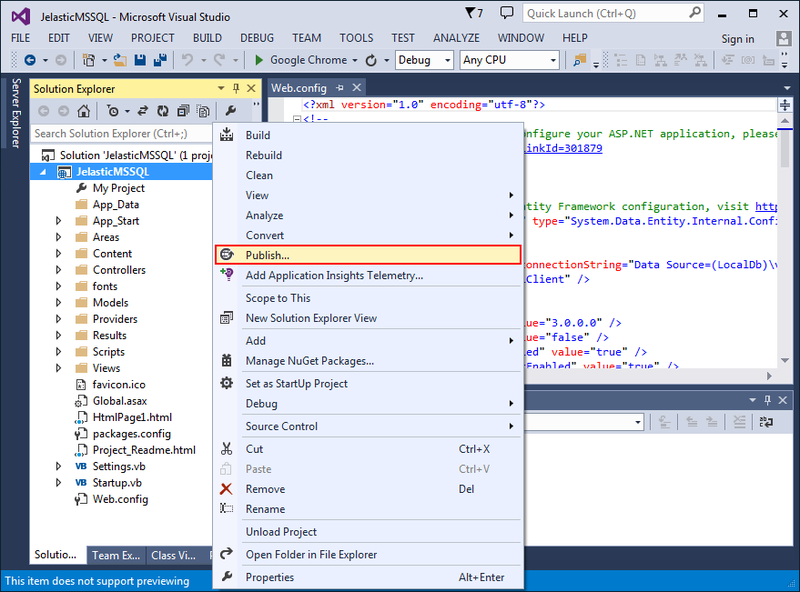 To get more information on the .NET applications management, refer to the corresponding instruction. 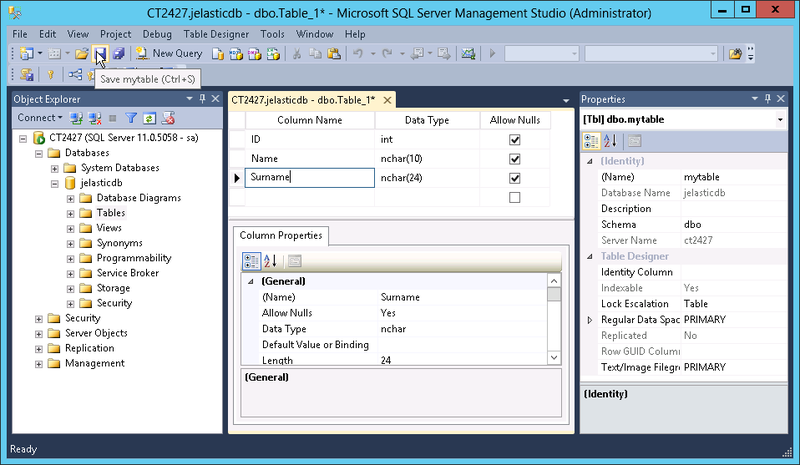 Microsoft SQL Server is a relational database, that can be used in a bundle with your .NET project (or any other app) to allow it to work with the data inside. By default, Jelastic distributes the Express edition of this server, which has some small limitations, but is completely free of charge (the comparison of editions’ features can be seen here). Still, the exact version depends on the chosen hosting provider and may differ or be provided for a fee. The detailed step-by-step instruction and the main operations’ description can be found within our documentation. Beside the commonly popular software stacks described above, you can get a separate dedicated virtual private server with the appropriate OS run inside. Windows VPS hosting at Jelastic combines the benefits of three main but different technologies: the broad functionality of a Virtual Private Server, the availability of the Cloud, and the strength of the Windows Server OS (its 2012 version is provided by default, while the “old school” 2008 R2 one is optional, i.e. its availability depends on your hosting provider’s settings). The VPS server allows you to run any Windows-based software on your virtual machine with support of such widely used tools and technologies as ASP.NET, PHP, SQL, Visual Studio, Active Directory etc. Note: As a proprietary software, the Windows OS requires the licence to be applied to each instance, but with Jelastic, you are not obliged to buy it by yourself – just pay for the time you actually use your VPS on an hourly basis. Herewith, the price for such license rent isn’t standardized and depends on the chosen service provider preferences, thus it may vary or even be absent. The corresponding tariffs can be seen while choosing the appropriate stack at the environment topology wizard (Cost details pop-up frame) or by navigating to the Balance > Quotas & Pricing dashboard menu item (Software tab). The inbuilt Server Manager with a rich set of configurations tools will help you to adjust your server in a way you need through setting the appropriate roles and features. 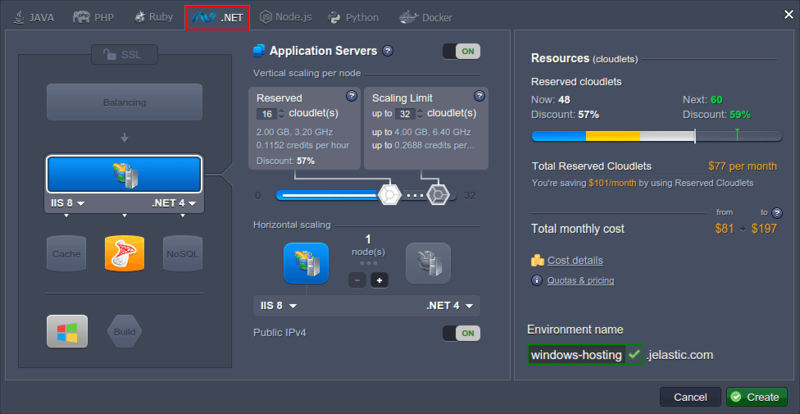 Learn how to get and manage your own Windows-based VPS server at the Jelastic Cloud with the help of the corresponding tutorial. That’s all for now! Evaluate the benefits of Jelastic .NET/Windows hosting by trying it for yourself: test the new IIS and MSSQL stacks for absolutely free with the 2-week trial period or get your VPS server with the licensed Windows OS inside, with hardly any investment. Please feel free to leave your feedback on your experience with these instances in the comments below. Remember that your reply can help us to improve the provided services’ quality for thousands of our users!